As a Property Manager or Building Owner, you understand there is a lot to the art and science of attracting and keeping the right type of tenants. One of the factors is property maintenance and care – done well it is a huge benefit; done poorly, it can drive prospective tenants to the competitor. Whether or not you have considered outsourcing your residential building cleaning services in the past, here are five reasons we’ve identified for choosing it now. A common reason businesses choose to outsource is because of the cost-saving benefits. Rather than managing another employee, including the costs of onboarding, training, and benefits; companies hire an efficient crew to handle their cleaning needs. When a professional cleaning company is hired, they take on the responsibility of managing their staff, including paying workers’ compensation benefits, providing skilled training, meeting OSHA safety standards, and more. This takes a huge burden and liability off your company, while also providing the highly specialized skill needed to get the job done well. When you hire a professional cleaning company, they will look at your specific needs and the frequency in which you need certain services performed. They then become responsible for everything from managing cleaning supplies and equipment to daily, weekly, monthly, quarterly, and even annual tasks. For example, entryway floors may need to be cleaned daily, laundry rooms weekly, stairwells monthly, and parking lots semi-annually. Custom plans ensure you will pay for what you need and the work will be done to your satisfaction, without worry. The environment and culture of your property sets a standard of expectation that communicates to tenants and prospective tenants that you care (or don’t). Your property’s care and maintenance, when done well, tells others you have high standards and are willing to invest resources towards excellence. Overflowing trash is not only unsanitary, it can create odors and attract pests. Dirty floors may be unattractive, but can also create dangerous slip or trip hazards. When janitorial needs are met, you reduce the chance of injury, as well as displeasure, due to unsafe or unclean living spaces and common areas. 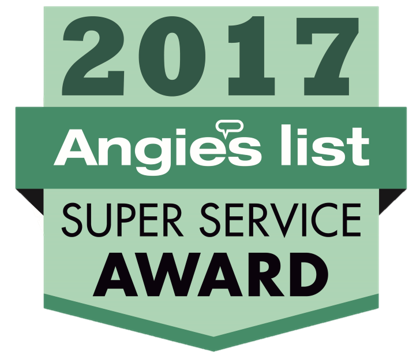 A Cleaning Service is an award-winning commercial cleaning company serving the Greater Washington DC, Virginia, and Maryland areas and would love to earn your trust. Read our reviews, then call us for more information or a quote today. Let us help your building look as clean, bright, and welcoming as you desire it to be. Without workers, production of any type is stunted. Without consumers, there is no revenue to pay workers. The hiring manager works hard to hire and retain quality employees. HR and management work to keep employees engaged and productive. Upper management continues to look for ways to increase their bottom line. As so it goes, this industrial process of workers, revenue, and consumers. Employees then, are the backbone of commerce, and keeping them happy and healthy should be the goal of all employers. One simple, proven way to do this, is by creating and maintaining a clean and safe work environment, especially since the workplace is where most Americans spend the majority of their waking hours – about 1/3 of their lives! Here are 4 ways to use a cleaning company to create a happy, healthy team. Staff who work in a clean office feel that they are cared for more than those who report to a dirty or unsafe workspace. Overflowing trash, unsanitary bathrooms, and even disorganization of supplies gives the impression that staff (and customers) aren’t important enough to have a clean workspace. Boost morale by showing staff your commitment to their health and safety. When the standard is set for a high level of cleanliness, staff tend to follow suit and show pride for their work location. They may not begin cleaning the bathrooms, but they are more likely to pick up a random piece of trash on the floor or return office supplies to the appropriate location. Creating a culture of cleanliness needs to start from the top, and is reinforced through the use of a professional cleaning company. Forbes magazine reports nearly 600 billion dollars is lost annually in sick-time and the resulting loss of productivity. Office buildings, because of their high, regular concentration of foot traffic, harbor countless bacterial microbes, both in the air and on surfaces. Proper cleaning, including avoiding cross contamination, can reduce the spread of disease and sick-time absences. But that’s not all – a 2015 Harvard Study revealed that improving air quality had a positive impact on employee productivity as well. Some companies use their own employees to perform cleaning tasks, but this is discouraged. Without the proper equipment, training, or cleaning supplies, employees could create a dangerous situation for themselves or others. Companies should instead choose to use professional cleaning staff, whether in-house or outsourced for the most effective clean. A Cleaning Service is an award-winning commercial cleaning company serving the Greater Washington DC, Virginia, and Maryland areas and would love to earn your trust. Read our reviews, then call us for a quote today. Let us help you keep your team of employees productive, safe, happy and healthy. It’s the holiday season, which means it’s time for hosting family, friends, and coworkers. Whether you have last minute guests coming, or you’ve been too busy to prepare for expected ones, we’d like to offer some holiday house cleaning help, with these easy tips. It’s easy to get caught up in the small details, wasting valuable time that we don’t have when guests are soon to arrive. Think about where guests will likely be, and focus there first. Prioritize what needs to be done and what can wait. Start laundry or put cleaning agents where they can sit, while you take care of other tasks. Start on your list in order without moving to the next thing until the first is done. Focus will help you get it all taken care of, with the most important tasks first. For example: Clean bathrooms; put away dishes, wipe off counters, sweep kitchen; and dust & vacuum living room. After you have prioritized what needs to be done, set a timer for about half the time you think you need to get it done. Race the timer and you’ll be surprised what you can get done. After the first area is cleaned, reward yourself with a crisp glass of ice water or piece of fruit for 3-5 minutes and then start on the next area. For example: if doing dishes is first, set your timer for 5 minutes, take a short break and then move to wiping off counter tops and sweeping. Where possible, delegate tasks to family members, housemates, or even hire a third party. Asking for help allows you to get more done in less time. If the details really matter, allow others to handle the bigger items while you fine tune. The holidays are meant to be a time of connection, relationship and joy, not stress and burden. If you don’t have the time or interest in cleaning before guests arrive, give us a call, we are happy to do the cleaning for you, freeing up your time for what really matters. 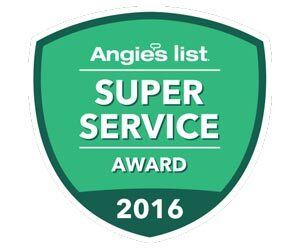 A Cleaning Service is an award winning residential cleaning company serving the Greater Washington DC, Virginia, and Maryland areas and would love to earn your trust. Read our reviews, or call us for more information or a quote today, and let us help you make your holiday season merry and bright! Has the clothing in your closets gotten out of control? Try these suggestions from A Cleaning Service to get them back in order quickly. Set aside time to clean out your closets. Mark a date on your calendar and stick to it. Also, enlist the help of a friend to give you an objective opinion of what to toss, keep, or purge. Once you begin, sort your items into four piles. These should include what to keep; what to mend or fix; what to toss out; and what to donate. Go through section by section. As a rule of thumb, if you haven’t worn an item in more than a year, it’s probably time to get rid of it. If that is too hard for you to do, then try this approach instead. Turn all of the hangers in the opposite direction. After you’ve worn an item, return it to the closet with the hang turned toward you. This visual can show you what you’ve worn (or not worn) in a while. After a set amount of time – perhaps six months to a year — purge the items on the hangers still facing opposite of you. After you’ve sorted, tossed, or donated pieces, reorganize what you have left. We suggest sorting pieces neatly like you would see them in a high-end clothing store – shirts together, blouses together, pants together, etc. This will not only keep your closet tidier, it will make it easier for you to find things in the future. Reorganize your closet, and take a picture of it! Use this visual and a reminder to help you keep up with what you started! Repeat the closet clean-out process regularly – make it a goal to doing it either seasonally or annually. As you go shopping, consider purging or replacing items before you accrue more. This can keep your closet more manageable – and help your budget, too! Want more tips to make your house neater between professional housecleaning services? Check out our post, “5 Ways to Keep Your House Cleaner Between Visits” for more details. While autumn is a wonderful time to enjoy the changing leaves and beautiful colors — don’t forget it’s also an ideal time to prepare your home from the inside for the coming winter months! Have your furnace or boiler inspected before colder weather hits! 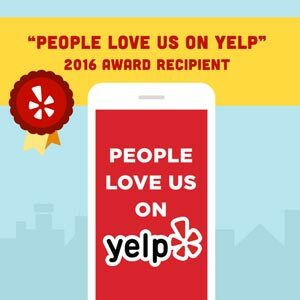 Contact a reputable heating company to have these services done now. Yes, it’s an investment, but making sure that your furnace and boiler are in the best working order can save you money in the long term by cutting down your heating costs. Also, if your home uses a wood-burning fireplace or stove, now is the time to order your firewood, too! Check for cracks in your windows or doors! You’ll want to caulk and seal those cracks, which will help you to keep in the heat in during the winter months. This, too, can save you money with your heating costs. Test your carbon monoxide monitors to make sure they are working properly and that there are no leaks in your home! Carbon monoxide leaks are among the highest causes of accidental deaths in homes, so it pays to make sure you and your family will be safe during those winter months indoors. Set your ceiling fans on the reverse setting (clockwise direction) after you turn on your heat for the season. This will create an updraft and push the heat down. This, too, can save you money on your winter heating bills. 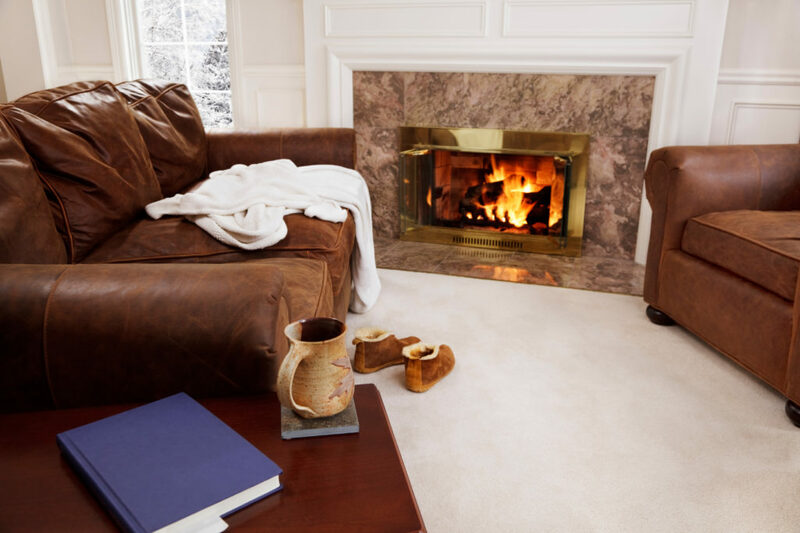 Hire a chimney sweep to make sure your fireplace is ready for the winter! Whether your fireplace is gas, oil, wood, or coal, it’s wise to make sure your fireplace is working and clean, and it’s also safer. This, too, can help to prevent the build-up of dangerous carbon monoxide in your home. To learn more about residential cleaning services or how to keep your home looking its best, contact A Cleaning Service, your trusted professional cleaning experts in Arlington, Virginia, at 703-892-8648. 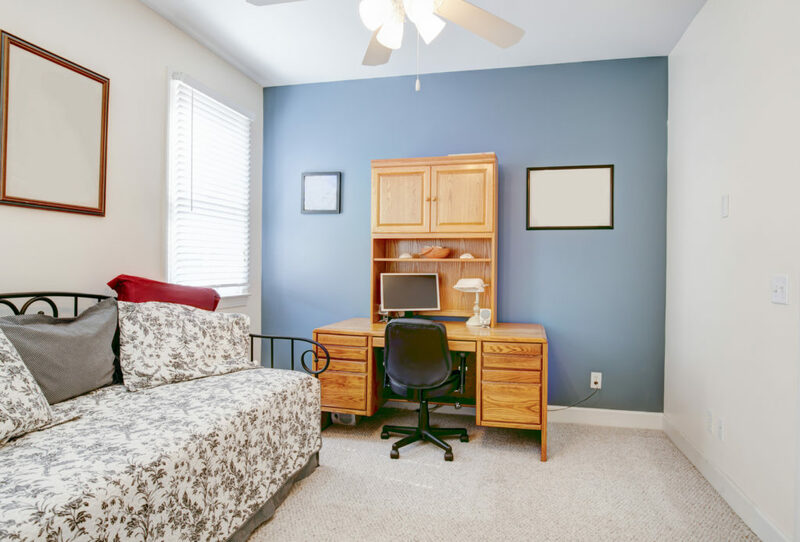 Do you have a guest room in your home that also serves as your home office? A Cleaning Service has got some great ideas for you — to help you make your space work for both purposes while maintaining a cheerful, cleaner home. Keep your designated room/office space tidy. Yes, we realize this space serves a workstation, too, but it helps to pick up any clutter regularly if you can. Consider using organizers or storage units to help you with this task. Using storage units makes it quicker and easier to pick up, especially if your guests drop in unexpectedly. Maintaining a tidy office will help both you and your guests (plus, it’s beneficial if you’re someone who uses our residential cleaning services). Consider using a smaller bed or a pull-out sleeping option in the room. Oftentimes, the key to maintaining order in a tight space is to fill it with furniture that fits well. Since a queen-size bed can become a space hog, we suggest that you consider using a smaller bed, a trundle bed, or a pull-out, sleeper couch to accommodate your guests. These options, while practical, also can look great while making your space cozy. Include a TV for your guests. Just like having a TV is a relaxing option in a hotel room, having a TV for your visitors can make the space more appealing and inviting. Keep your office furniture clean and compact, so your guests can move around. This tip is similar to the notion of not including a large bed in a small room. If your floor space is at a premium, you may want to rethink purchasing that an over-sized credenza. Your guests will need that extra space to get around and not bump into things. Provide your guests with electrical outlets, and a designated space for clothes and valuables. Think about how your space would work if you spent the night there. Does it include a place to put your luggage, clothes, and personal belongings without them getting lost or misplaced? Is there an outlet to recharge your cell phone? Providing your guests with these options is a welcoming touch, and they’ll thank you for it.